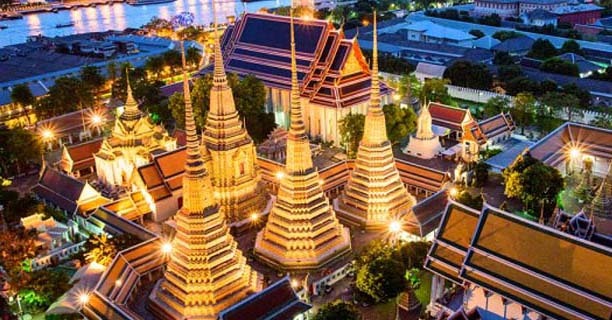 10 Best Places To Travel In Bangkok. Bangkok is one of the world’s top tourist destinations. As Thailand’s Capital, this city is a true tourist paradise, proved by the growing number of travelers coming each year. There are also palaces, museums, parks, and a big array of shopping places, from luxury malls to flea and street markets. Bangkok nightlife is another highlight that has attracted many of tourists from all over the world. The Grand Palace was a former residence for King Rama I to King Rama V of the Rattanakosin Kingdom. Today, the place is used for hosting royal ceremonies and welcoming the king’s guests, State guests, and other foreign dignitaries. The Queen’s Gallery is a space which displayed the work of Thai artists. There are four floors for displaying art exhibition and the 5th floor that could be utilized as activities to integrate the knowledge and publicize the precious Thai works of art to the society. King Prajadhipok Museum is situated in the area of the Department of Public Works and Town & Country Planning Building at the Parn Fah Leelad Bridge. It was built during 1906 with the architecture style in the era of King Rama 6th and King Rama 7th. In King Rama 7th’s era, The King restored this museum as a museum to keep His personal properties and all the important photos and documents. Perched on the third floor of King Power Duty Free Downtown Complex. Aksra Theatre is home to the world’s famous Thai puppet show Aksra Hoon Lakorn Lek. Every day, all 600 seats underneath sophisticated Thai decor are filled up with cultural art lovers. Who will be stunned by a Ramayana epic told through a performance of haute-art puppets. And completed with cutting-edge light and sound system and live orchestra music. 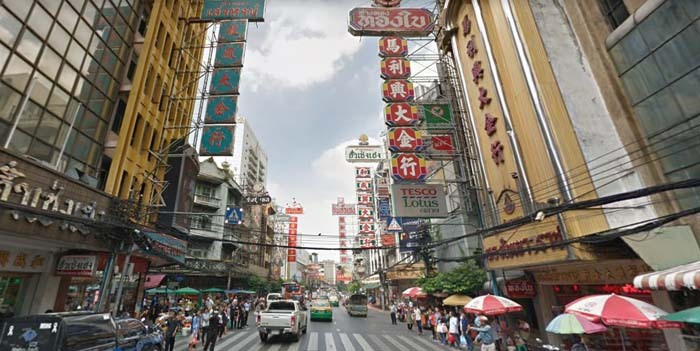 Thailand China Town Located on Yaowarat Road, Bangkok’s Chinatown is the biggest Chinese community in Thailand. Throughout history, many Chinese had come to trade in Thailand since the reign of King Rama I. But Yaowarat Road was not yet established. It was later built during in the reign of King Rama V to encourage trade. Yaowarat Road is the largest gold trading market in Thailand. It is also a popular destination for people who love food. In daytime Yaowarat Road is a slew of gold shops, Chinese herb shop, fruit stalls, and Chinese restaurants. Wat Pho is not only one of the most visited Buddhist temples in Bangkok but it is where history, medical science and educational institute combined. Wat Pho was founded during the 16th century and was later served as The Royal Temple of King Rama I of Chakri Dynasty. The sacred 46-meter Reclining Buddha whose feet are beautifully inlaid with mother-of-pearl, carved with holy signs. Wat Pho is, among Thais, also known as “the nation’s first public university,” thanks to 1,360 marble inscriptions about medical, historical and liberal sciences places all around the temple where the people can read and learn anytime. Marble inscriptions about medical sciences, anatomy and orthopedics are the origins of Wat Pho Thai traditional massage principles, which has made Wat Pho a world’s famous site. Take the Bang Kuntien Road and you will find lots of seafood restaurants that are ready to serve along the way. All the restaurants are competing to offer the freshest and the most delicious seafood for their clients. 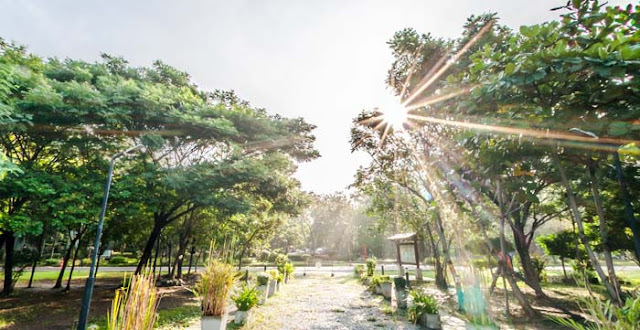 Moreover, travelling here is also supporting the ecotourism starting form Klongpitayalongkorn School, which is where the Bangkokian Museum is at. Inside the museum are displays that tell the story of this community compared like minimizing the Bangkhuntien community into one small place. After that, the tourists can travel to Bangkok Sea View and take the long-tailed boat to see the biggest ecology system and absorb the beach atmosphere. If you are lucky enough, you will be able to see Irawaddy dolphins or for bird lovers. This place is also a nice location to see the birds. 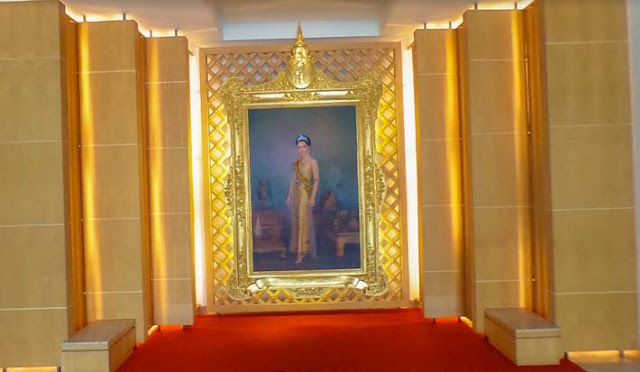 SUPPORT Foundation under the Royal Patronage of Queen Sirikit has renovated the European-classic Ratsadakorn Bhibhathana building. To showcases exhibitions telling the story of how Her Majesty Queen Sirikit has helped turn Thai silk from local handicraft into a symbol of Thailand. Through her SUPPORT Foundation founded in 1976, to celebrate the occasion of her 80th birthday. And the highlights are HM Queen Sirikit’s personal collection of dresses from Thai textiles by international and local designers. Chatuchak Flower Market is a famous place among Thailand people and foreign tourist. But only some known that other than a normal market opening in every Saturday and Sunday. Even though, Chatuchak market has special market opening on Wednesday and Thursday. It is Chatuchak Flower Market that sell only flower, plant and agricultural equipment. 10| Best Places To Travel In Bangkok: Rattanakosin Exhibition Hall. This vintage, art-deco building turned exhibition hall narrates the history of Thailand during the Rattanakosin Era (circa 1782 onwards) through a variety of interactive exhibitions in seven chambers. And then, visitors will enjoy observing the Grand Palace via 4D multimedia spectacles as well as an animation depicting the legend of the sacred Emerald Buddha. 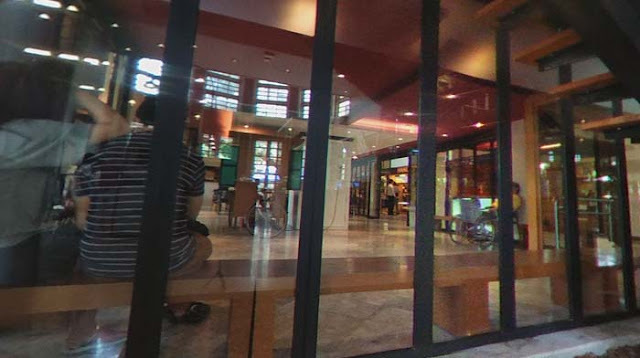 On the fourth floor there is an observation room you will enjoy an elevated view of a historic Ratchadamnoen Klang Road. Where most of political movements took place, Loha Prasat, the world’s only metal castle, and the revered Golden Mount.